At VisionFriendly.com, we work with most Content Management Systems (CMS) on the market, and have the capabilities to customize these systems to better suit your needs. We build our CMS sites in a way to allow for ongoing software updates so your site can keep up to date in the industry as well as be protected from hackers. This also makes the resulting code portable and future-proof. To get in contact with one of our experts regarding any questions that you may have regarding WordPress, please call VisionFriendly.com today at 630-553-0000 or simply fill out any of the online request forms found throughout our site. If you're a business owner, you may not have the knowledge and expertise needed to select the proper CMS for your website. We put WordPress ahead of other CMS' to create sites that can easily grow with the ever-changing internet due to the tremendous Open Source Community support keeping WordPress at the top of the CMS market share. This is the primary reason for our WordPress recommendation. It is designed to allow updates to the core software without a lot of overhead to make upgrades (as many others like Drupal or Joomla have). Offering an expansive marketplace of open source plugins, WordPress is able to save business owners a considerable amount on adding features and functionality to their website. Another benefit to working with WordPress as your CMS is that if there are ever issues found regarding changes made to your site, our team can undo these changes by easily reverting to a backup of your site. The CMS revision control tools allow you to see who made these changes as well as when they were made. If you would like to learn more about WordPress and our CMS solutions, please call VisionFriendly.com now at 630-553-0000. 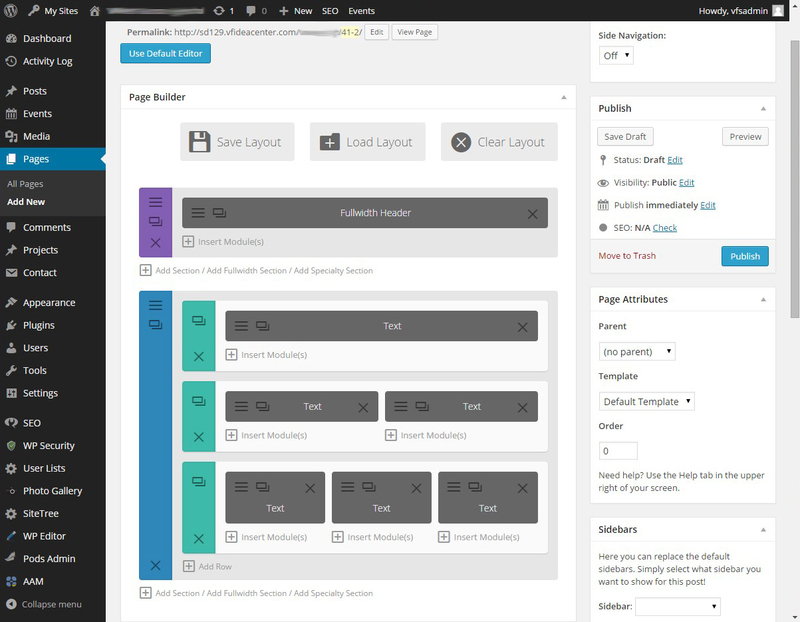 The admin allows drag-and-drop functionality to add subpages into your site. This means that users with permission to do so (which would be few) can add a new page, and then simply add it to the menu and drag it into place beneath the appropriate parent page (indention indicates this hierarchy).